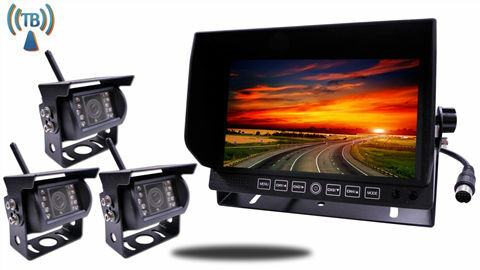 This backup camera system can be also installed on a Travel trailer, Horse Trailer, Fifth Wheel, Campers, RV’s, and any other commercial vehicles. 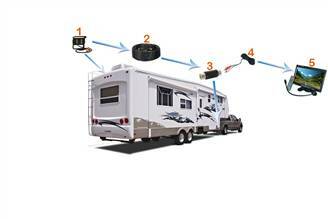 RV Box camera Has a 120° Degree viewable angle, its waterproof and has auto night vision. 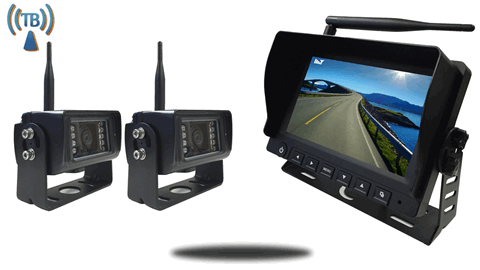 The 90113 is our best selling basic Digital wireless backup camera kit. This Amazing product will Always help you stay alerted and think safety. The wireless connectivity is digital and providing an uninterrupted connection. Get 30 days money back guarantee, Buy with confidence the Tadibrothers team won’t let you down. Tech support based in California to answer any question. 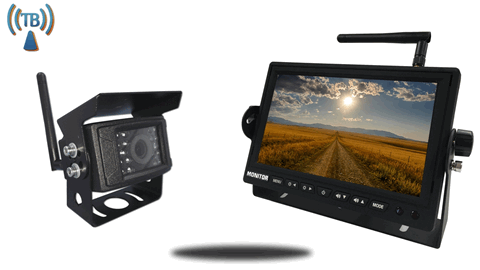 We purchased a 7″ wireless monitor and a wireless camera for our horse trailer and we are very happy with it. we would like to splice in a power connector in our stock trailer and another one for the side if the trailer or camper to watch them at night. But I don’t know what connectors to use. We can certainly help you out but we need more information. Please call (866) 966-5550 option 2 for customer service. Thank you. I have a 7 inch monitor -wireless- and a camera on my truck. works 100%. I also have a camera on the back of my 23 ft Airstream. Reception cuts in and out and is often “delayed” showing a vehicle that has ALREADY passed me. Check that the back camera is getting a constant 12v power. They might need the Digital transmitters. Please call our customer support line and they will be able to assist you better.